Our hearts go out to those still suffering from the lingering winter weather, but in sunny Southern California is feels like we have skipped spring and gone straight to summer. It was a warm day which prevented us from hiking so instead we enjoyed the low-tide of the Pacific Ocean in Ventura. 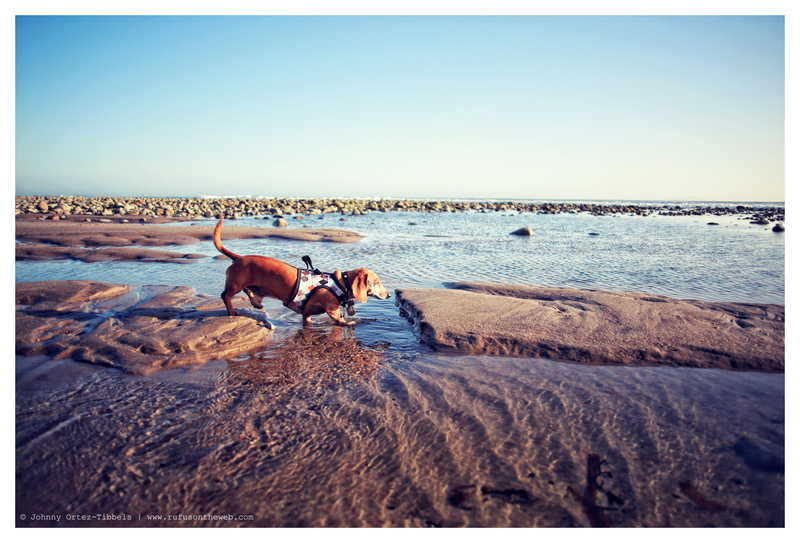 The little, long dogs really seem to enjoy the low-tide. I’m not certain if it’s because the intimidating big waves crashing ashore are less pronounced, or it’s because during low tide lots of little interesting smelling things are uncovered. 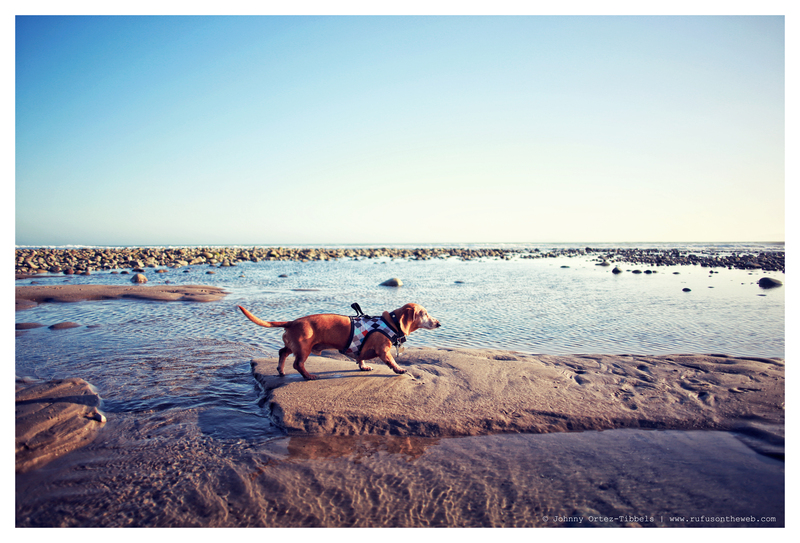 Here are a few pictures of Rufus’ braving the low-tide shoreline this afternoon. The vernal equinox (or the first day of spring) is officially two days away. Looking forward to celebrating all week long, and we hope others start to see signs of spring coming soon. Be good dachshund friends. This entry was posted in Rufus and tagged #dachshund, #RedDachshund #RedRegalDachshund, #smooth dachshund, doxies. Bookmark the permalink. Rufus is enjoying himself. I love Rufus!! Give him a hug and kiss from me!! Rufus looks like my pup, opie (18yrs). Love the grey snout! Go seniors! !